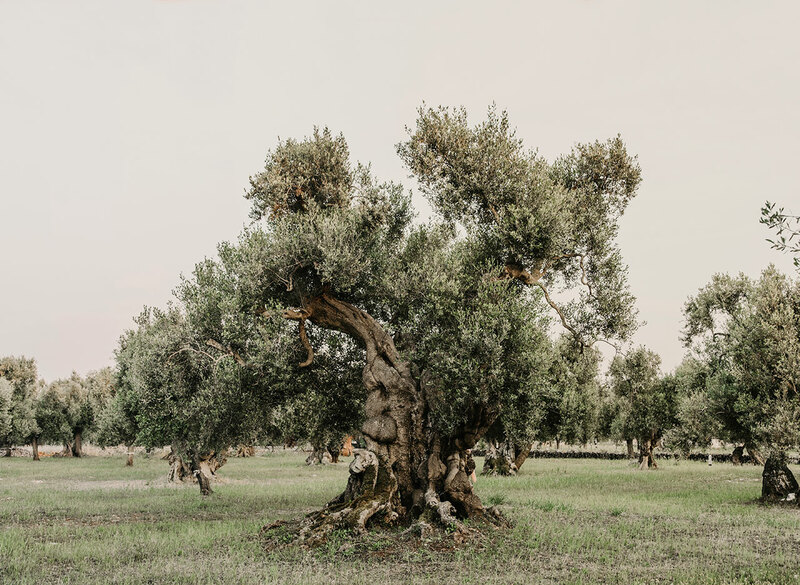 Situated among five hectares of olive groves with trees as old as up to 500 years, Masseria Moroseta is a rural retreat of vernacular sense and modern sensibility, conceived, by owner Carlo Lanzini, as a modern day farmhouse in the heart of Puglia, Italy. 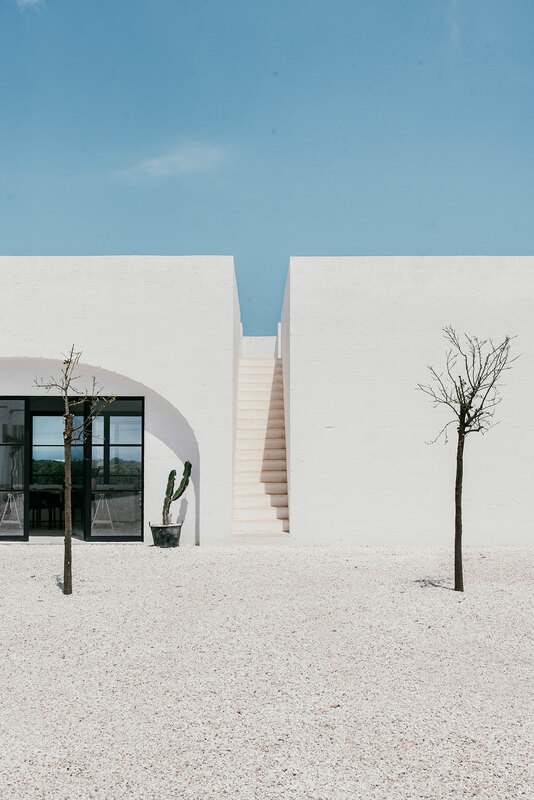 Opened this year, it cleverly combines a minimalist aesthetic with an ascetic elegance, making it the ideal place to experience the Italian countryside and its centuries-old traditions. 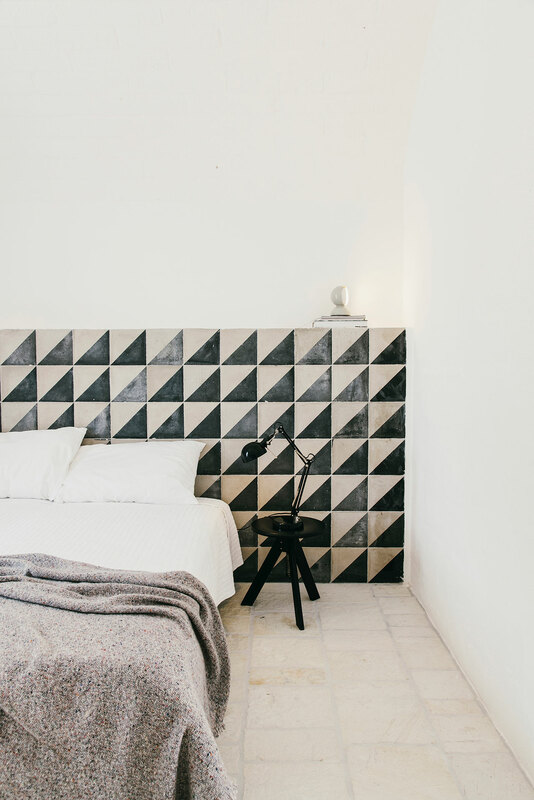 Designed by Barcelona-based architect and art director Andrew Trotter, the 6-guestroom farmhouse was conceived and built using traditional materials and techniques. 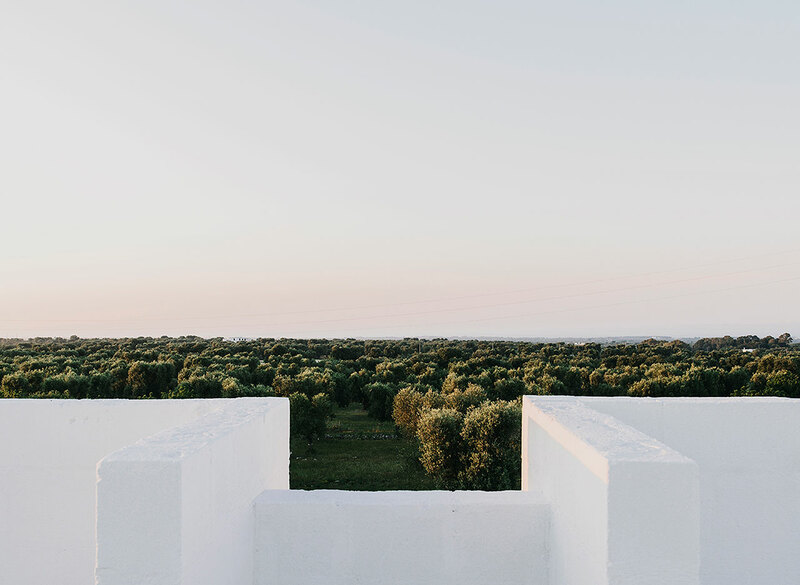 The end result is a building that organically fits into the surrounding landscape, provides guests with an authentic experience as well as takes advantage of centuries-old practices to ensure for an environmentally friendly design with a minimal energy footprint. 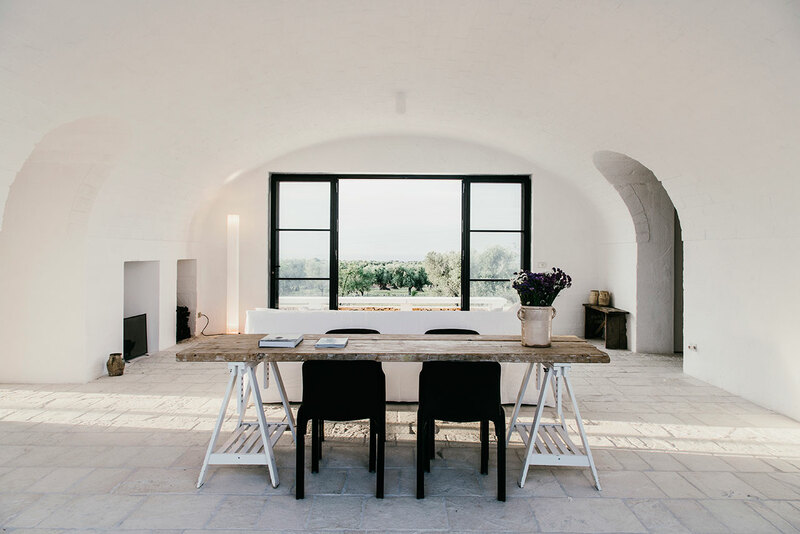 Hence the whitewash exteriors, the vaulted ceilings and 80 cm thick walls of sandstone tufo, a soft rock used in local construction since ancient times, typical characteristics of rural architecture in Puglia that keep the building naturally cool even when temperatures soar to 40°C. 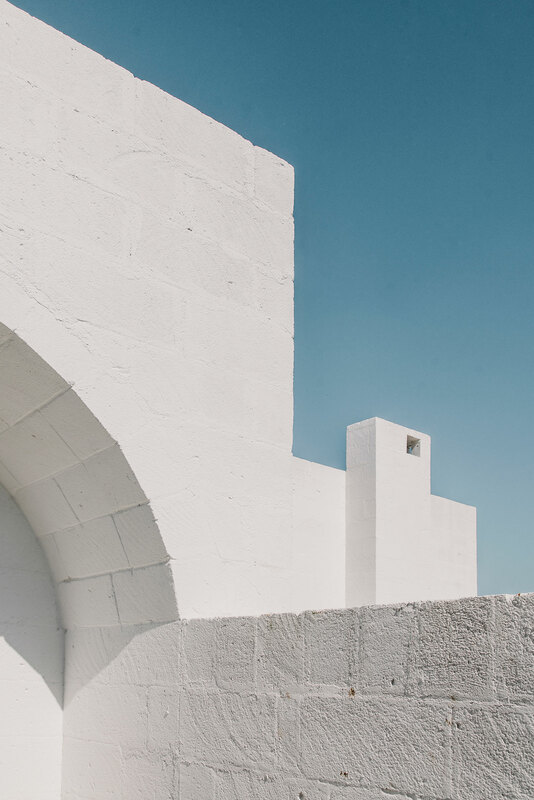 Moreover, the whole building has been elevated and buttressed by dry stone walls recycled from the site’s excavation, in order to catch the breeze for additional cooling. 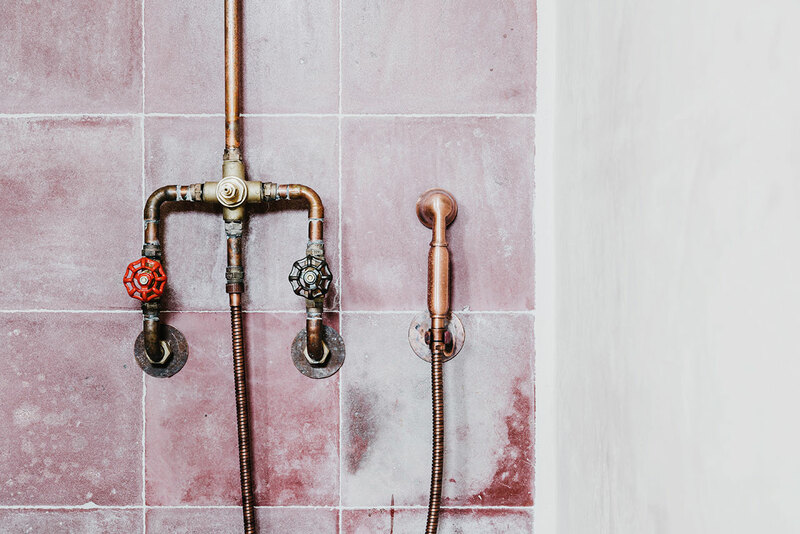 This clever arrangement also allowed for the retreat’s amenities such as the gym and spa, to be tucked away out of sight below the main building. 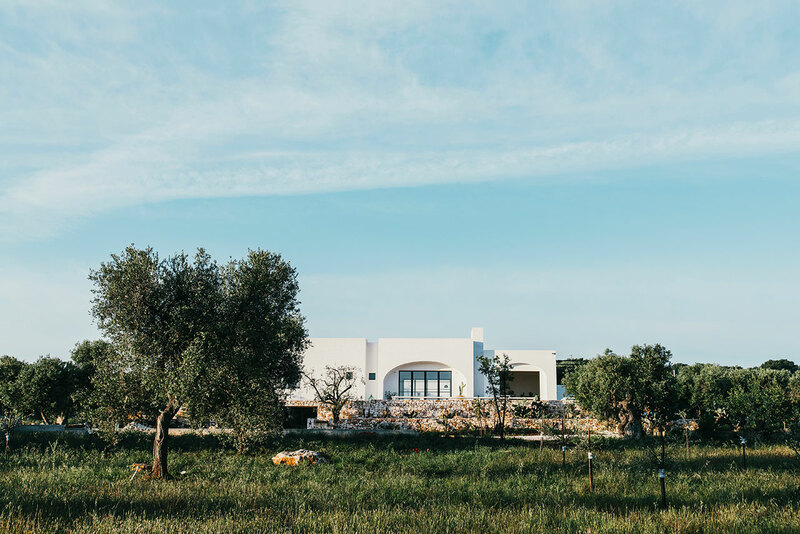 Masseria Moroseta is a building that organically fits into the surrounding landscape, and provides guests with an authentic experience. 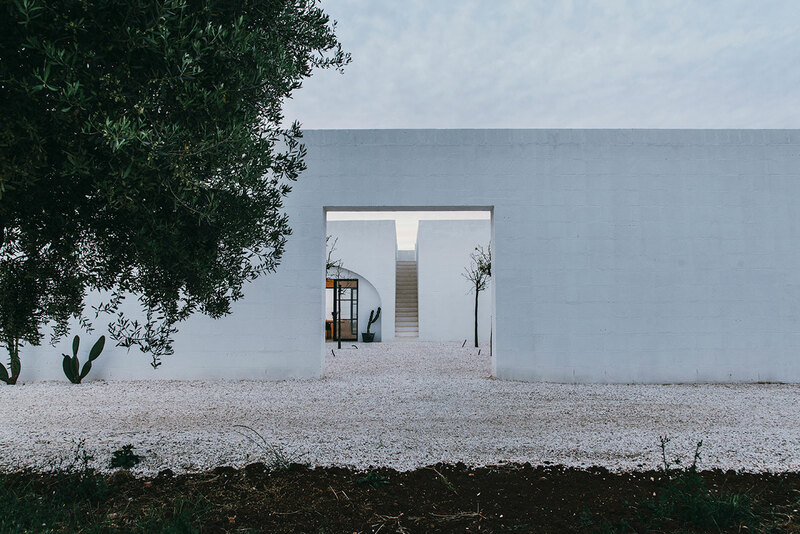 Yet for all the vernacular minutiae that have gone into the building’s construction, the design is utterly modern with clean lines and simple geometric volumes arranged around a central pebbled courtyard. 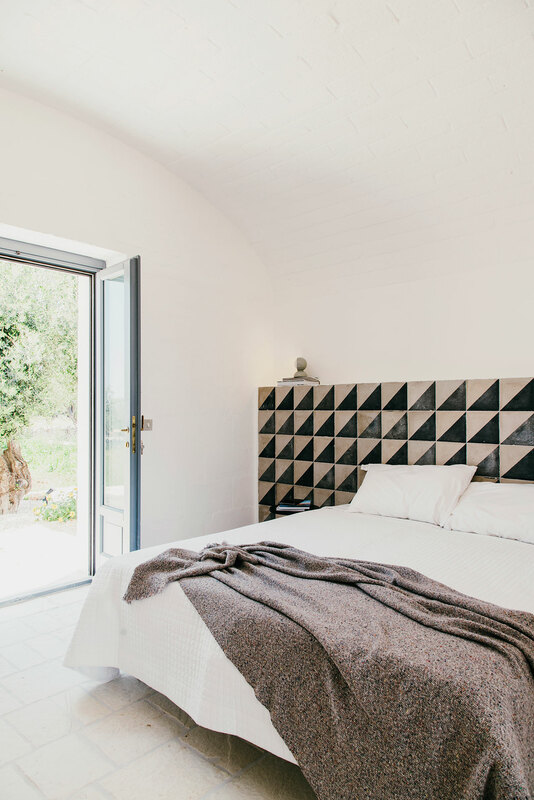 The rooms, three on either side of the courtyard, open out to private terraces or gardens that look out towards the surrounding fields, whereas the living quarters in the middle, consisting of sitting and dining areas as well as a veranda with an outdoor kitchen and bbq, promote a communal way of living attuned with the farmhouse spirit. True to this, the guests have the opportunity to gather around the dining table and enjoy home-cooked meals by Carmen, the house chef, prepared with fresh produce from the farm such as organically grown fruits and vegetables, eggs and olive oil—the making of which the guests can experience firsthand during the harvest season in October. 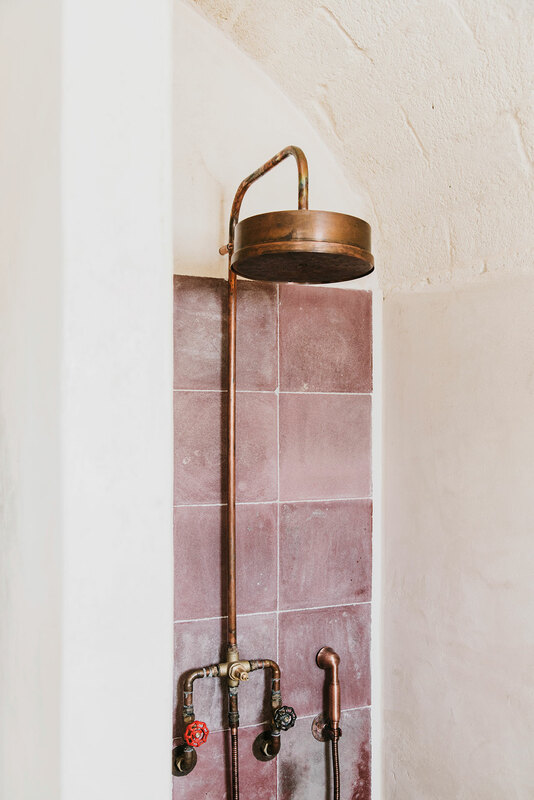 With a 200 year-old stone oven at her disposal to prepare freshly baked bread in the morning and succulent roasts in the evening, the culinary experience at Masseria Moroseta is authentically Puglian, and a genuine taste of cucina povera (peasant cooking). 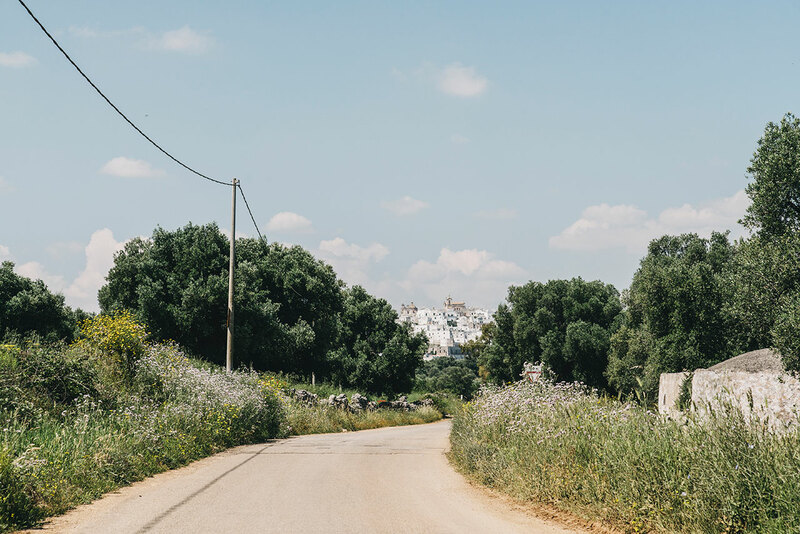 The Masseria is ideally located near the town of Ostuni in the heart of Puglia, a region jam-packed with castelli, cattedrali and palazzi as well as a magnificent countryside that includes nature reserves, subterranean caves and a wild coastline of intimate coves. 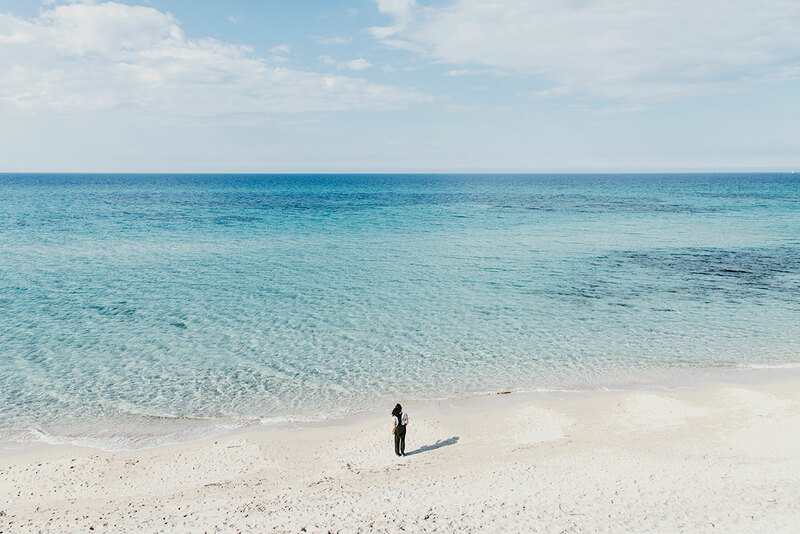 From Alberobello in the north, a UNESCO World Heritage site featuring clusters of trulli, the traditional Apulian dry stone conical huts, to Lecce in the south, a treasure trove of baroque architecture, guests have a plethora of destinations to discover. 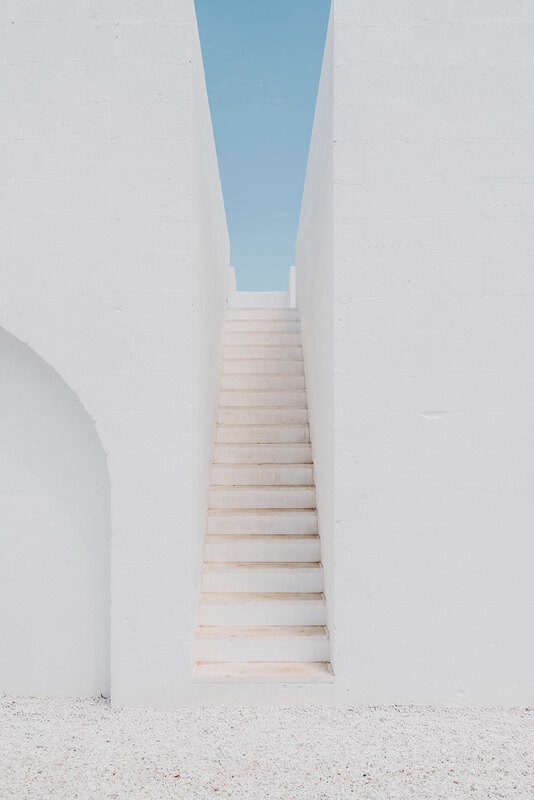 It’s therefore quite a tribute to the owner’s vision that guests often opt to stay put in order to soak in the Mediterranean sun by the pool, peacefully unwind in their private garden, relax at the spa or take advantage of the roof-terrace to enjoy the sun setting over sweeping views of olive groves. 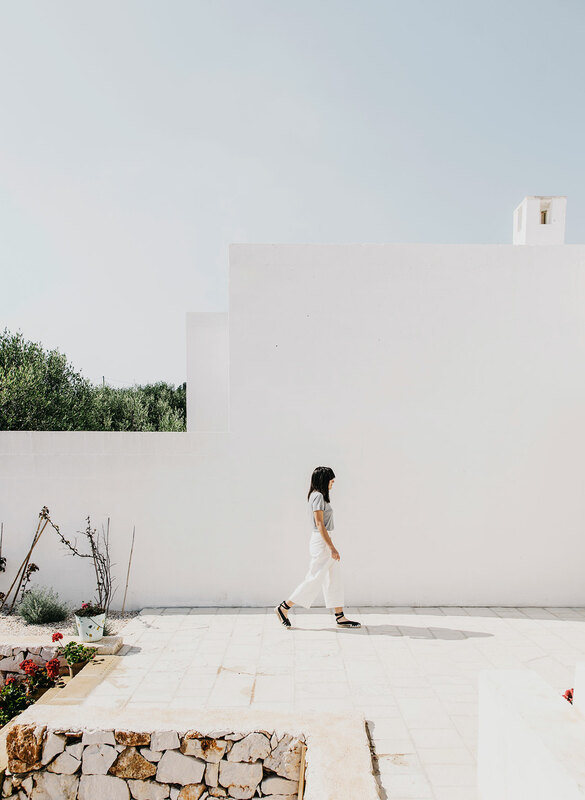 Masseria Moroseta may very well be a retreat of rural simplicity, without wanting however, for any contemporary comforts.